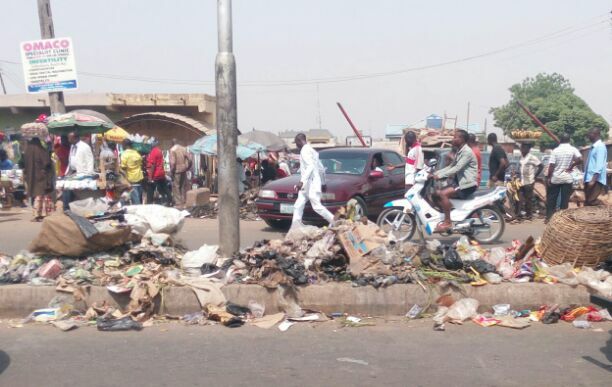 Imagine, this is how some people especially those at Sabon Tasha market in Chikun local government area and Kawo, Mando by Lagos garrage of Kaduna, Kaduna State, Northwest Nigeria, are abusing this media seperator in that area while the refuse spill over to both sides of the roads. These are people who are bent on giving room for outbreak of diseases and flood despite concerted efforts by stakeholders to avoid either of the two possible disasters. It is important to warn that, whatever happens as a result of this arrant display of madness called ‘I don’t care’, it can not get to Buhari or El-Rufai but common locals will suffer the xonsequences greatly. It is against this background that Gobroadsheet urged the state government via responsible authority to set up a taskforce specifically for keeping the environment clean and safer at the same time, arrest and fine anyone caught dumping refuse indiscriminately. ZL Global Alliance should do more to discourage this by a way of providing standard waste collection tanks in populated places like markets, schools and other public places. KASTELEA should also do more than concetrating on controlling traffic. They should remeber that, their responsibility include improved environment. To Kaduna resisents, clean and safer environment begin with an individual. Don’t spoil Kaduna for its good people. A word they say is enough only for the wise!